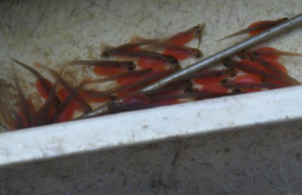 Coho baby salmon . You can come see for yourself at Karcher creek . Located in Port Orchard Wa behind Napa auto center .